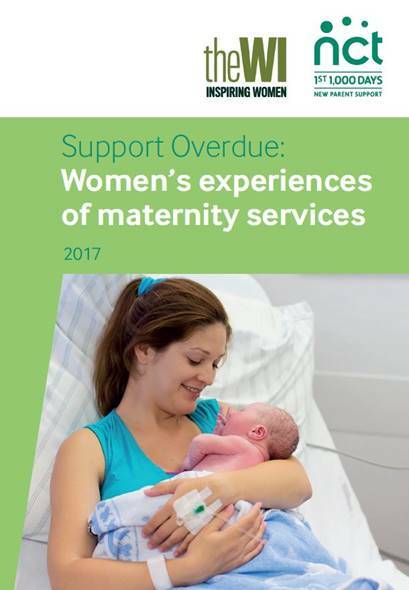 The NFWI’s initial report for the campaign, published in May 2013, examined the experiences of 5,500 women who gave birth in England or Wales between 2007 and 2012. The report titled ‘Support Overdue’ helped to galvanise a national conversation about the issue and led to the NFWI Chair and WI members appearing on national media outlets to report the findings. Over the following years the NFWI contributed toward several inquiries and reviews on maternity care, with a report from NHS England citing NFWI research. In March 2017, the Welsh government announced that it had taken up the recommendation of the NFWI’s 2017 Support Overdue (2017) report to prioritise maternity staff planning and make sure there are enough midwives in training. A year later in March 2018, the NFWI welcomed the Government’s announcement that it will create 3,000 new training places for midwives in England over four years. It was also announced that the majority of women will receive care from the same midwives throughout their pregnancy, labour and birth by 2021.